Some sad news for fans waiting for Bioschock Infinite. Irrational Games said that there won’t be any multiplayer in upcoming first person shooter, Bioshock Infinite;Seems like there were two multiplayer modes planned for the game.The first mode was suppose to be tower defense mode in which shriveled players fight off toy mechs, while the second mode was suppose to be a series of missions based on locations from the singleplayer campaign, this mode was much like Spec Ops from Call of Duty: Modern Warfare. Both modes were reportedly terminated because of low quality. Also because Irrational Games wanted to focus more on the singleplayer campaign. Bioshock Infinite is an upcoming first person shooter game developed by Irrational Games and published by 2k Games, it’s the third installment in the Bioshock franchise. The game will be launching on PS3, Xbox 360 PC and later in Wii U. It runs on a modified version of Unreal Engine 3. Bioshock Infinite is not a direct sequel or prequel to other Bioshock games and will be set in a completely different setting. However, the gameplay and themes will be somewhat similar. When appeared on E3 2011, the game received “Best of the show” award. as well as “Best Action/Adventure Game”, “Best Original Game” and best “PC Game”. 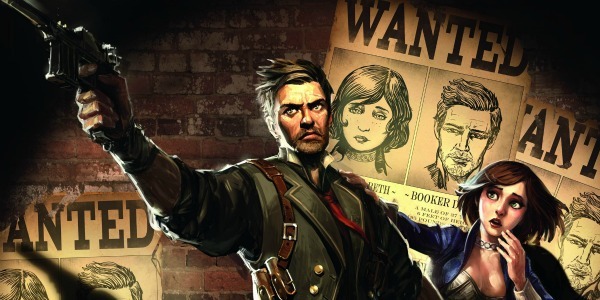 Bioshock Infinite will hit the shelves on 26th, February, 2013. And will release on PC,PS3 and Xbox 360, WIi U version will be released later. As a fan of Bioshock games, I’m really anticipated for the game. The new setting is brilliant, and I’m sure it won’t be disappointing.